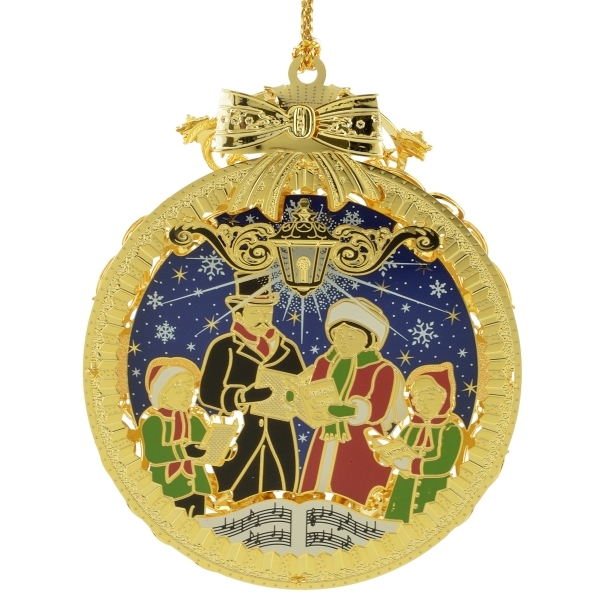 It's a scene from �The Christmas Carol.� This is truly a beautiful ornament that conjures up a warm feeling of nostalgia for an old fashioned Christmas. The artists handcraft the medallion style ornament from brass, hand paint it with charming colors including a crisp starry sky, and then finish it with 24kt gold. Add it to your ornament collection or keep it on hand for a gift for unexpected guests.